AEK have been struggling a bit lately with a record of WLDLW in the Greek Super League. They currently sit third in their league, however, and are coming off of a 1-0 win against Panionios on Sunday. For that match, Manolo Jimenez lined up: Anestis; Vranjes, Cosic, Lampropoulos, Galo, Lopes, Simoes, Galanopoulos, Araujo, Livaja, and Mantalos. 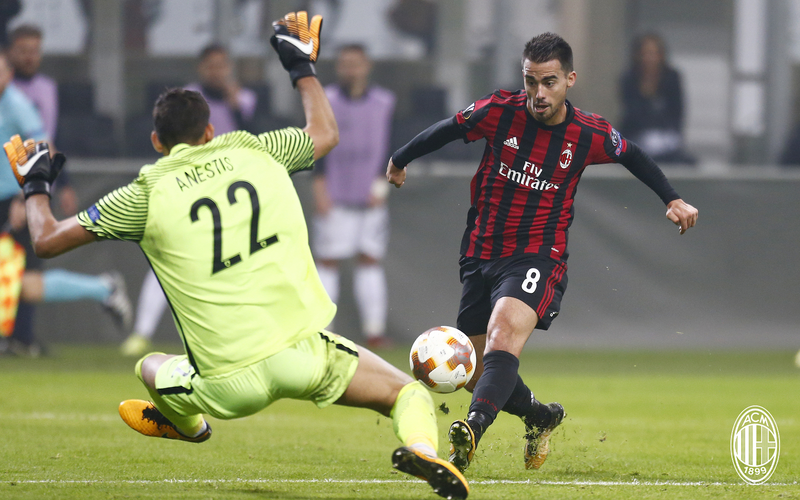 I think Milan fans wish that Anestis wasn’t available, as he had a spectacular game against us before and shut out our every possibility of scoring. Montella has some important missing pieces. In addition to Conti, of course, he’ll be missing Biglia, Calabria, and Bonaventura as well. Suso has not trained for two days due to a muscular injury, but he was called up anyway. Which means Montella’s squad-rotation-to-prevent-injuries policy only applies to the players who aren’t MVP of a match in a game we actually won. Hope Suso is really okay to play, we can’t afford to lose him right now. Also, Montella will have Bonucci back, and even though many people don't think we need him, we absolutely do. We always knew AEK would be the toughest team in our group. And they proved us right when they came to our house. But Milan have been building a bit in intensity the past few matches, even if being clinical is still a massive issue for us. 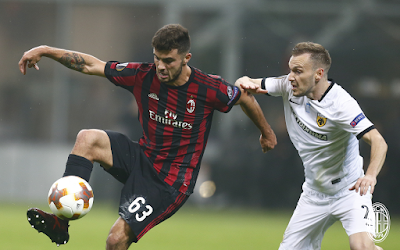 A win would go a long way to improving morale surrounding Milan. And with Gattuso the only apparent option to Montella being considered, who has even less experience coaching in Europe, we’d better hope that morale improves quickly. So ready or not, here we are, heading into the fray. This match will be shown LIVE on your local Fox Sports channels in the U.S.